In Lingo Kits can either be private or public. By default all Kits are private. Private Kits can only be accessed by members of your Space that have been give access to the Kit. Public Kits can be accessed by anyone with the Kit link - no Lingo account required. We'll cover both of these sharing options below. To share a Kit simply navigate to the Kit you want to share and select "Share Kit" in the upper right corner of the app. 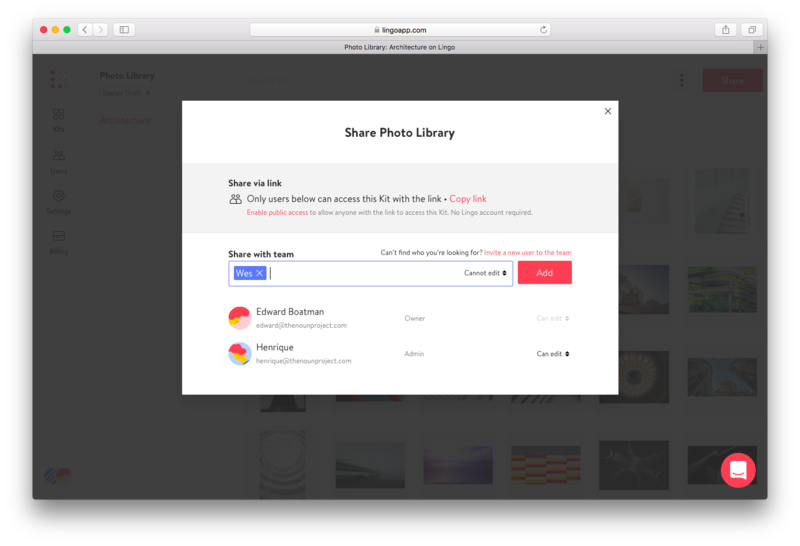 You will then see a modal that contains multiple sharing options.